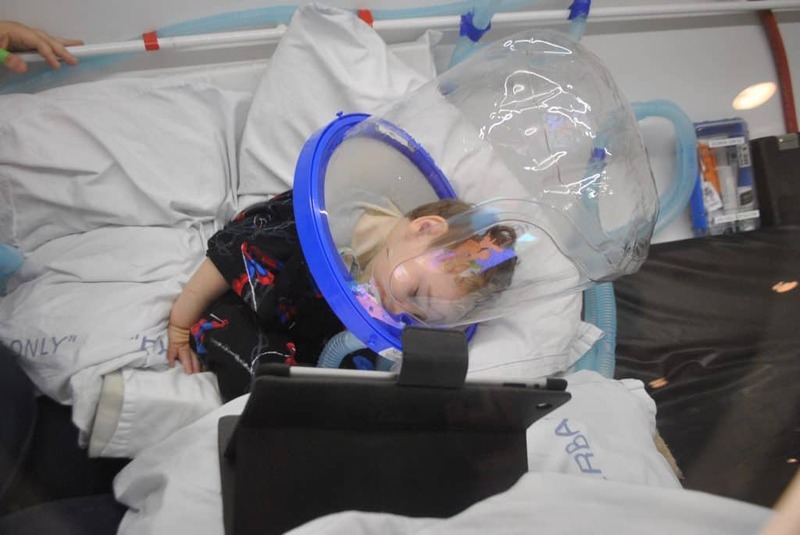 TBI Treatment – Hyperbaric Oxygen Therapy for Traumatic Brain Injury – Conditions that harm the brain have a wide reach. Whether from a stroke (vascular accident) or a traumatic brain injury, the results impair the whole family. 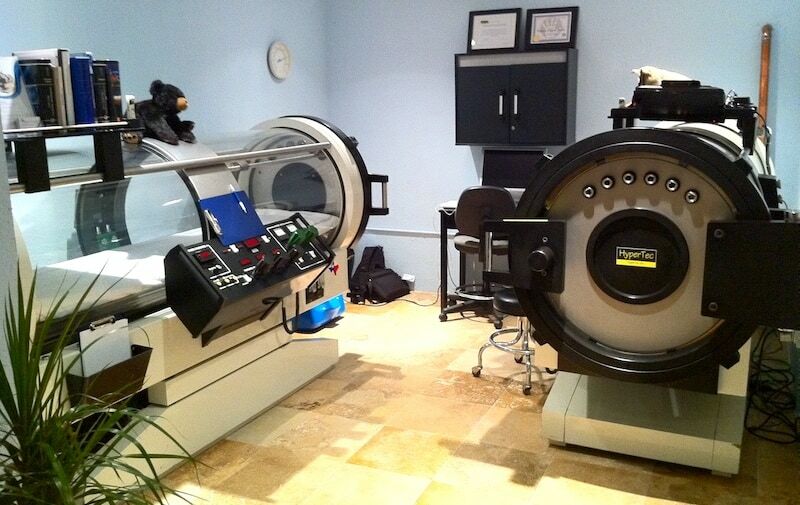 Hyperbaric Oxygen Therapy is not a cure . . . . but it can often help. Following is a MUST SEE video from the Montel Williams Show. Even though science now knows better, the “old-school” idea still often remains: that once an area of the brain has been damaged by a stroke, TBI (traumatic brain injury), or near drowning, that nothing or very little can be done to restore the function of that area. Recent scientific research has demonstrated that while the core-area of the damaged brain tissue may be irreversibly damaged, there is an area surrounding this tissue that hyperbaric oxygen therapy can restore and these neurons (brain/nerve cells) can re-establish their function. The majority of tia, stroke and brain injuries are caused by blood vessel obstructions, such as a blood clot, that cuts off blood flow and oxygen to parts of the brain. This results in the death of nerve cells within a very short time. These dying brain cells begin to swell due to their cell walls breaking down, allowing fluid to move into the cells. As these cells swell, they begin to expand into the surrounding tissues. This causes constriction of the blood vessels in the surrounding tissues, which then causes a lack of oxygen to these previously normal cells. These surrounding cells then begin to swell as well. This gradually increasing, damaged, hypoxic tissue surrounding the original injury is called the “ischemic penumbra,” and contributes up to 85% of the disability resulting from a stroke. The cells in this secondary area have the potential of being restored to near-normal, and sometimes normal function. The neuroscientist Dr. Cyril B. Courville wrote, “crippled nerve cells may persist in the margins of wounds of the brain for many years.” Astrup, Siesjo and Symon suggested that within these damaged margins, idling neurons are present. They are metabolically lethargic and are non-functional, because of low oxygen levels and secondary damage. But they remain viable and are subject to being revived with hyperbaric oxygen therapy. Proof of this dormant life of the brain’s cells has been demonstrated with the use of SPECT brain scans done before and after a series of hyperbaric oxygen therapy. In the journal Stroke, Dr. Richard Neubauer, a pioneer in the use of this therapy for treating various neurological diseases, reported outstanding results in a group of 122 stoke patients treated with HBOT. In one case, significant functional improvement was noted when Hyperbaric Oxygen Therapy was used 14 years after the initial stroke. These studies by Dr. Richard Neubauer conclusively demonstrate the development of new blood vessels to the rim of tissue surrounding the area of the brain that had been damaged. These newly formed blood vessels resulting from the hyperbaric oxygen therapy can then bring fresh blood (oxygen) and nutrients to the damaged tissue. The tissue begins to repair itself and returns to normal or near-normal. These “resuscitated” neurons gradually reconnect to the rest of the brain. These revived neurons and their connections help to return the use of lost cerebral and bodily functions. Hyperbaric therapy does not resurrect dead brain tissue, but it can facilitate the functioning of those dormant, idling nerve cells that have suffered secondary damage by stroke due to diminished oxygen. Oftentimes, the brain area suffering secondary damage is a larger part of the brain than that which suffered the primary damage. This area of secondary damage to the brain (the ischemic penumbra) is the area that HBOT helps. Improvements have been achieved, gains have been made, even with patients who are more than a decade post-stroke. Note: TIA: Transient Ischemic Attack, is a “mini stroke”, or “warning stroke” that often produces mild stroke-like symptoms but usually no lasting damage. A TIA is often a forecast of a full-fledged stroke on the horizon, which makes this a good indicator for beginning this therapy. Day after day, patients are overcoming the bleak forecasts about recovery from their stroke or traumatic brain injury, using Hyperbaric Oxygen Therapy.